Commonly known as Red Dulse, Palmaria palmata occurs along northeast Pacific coasts from Alaska to San Luis Obispo, California. 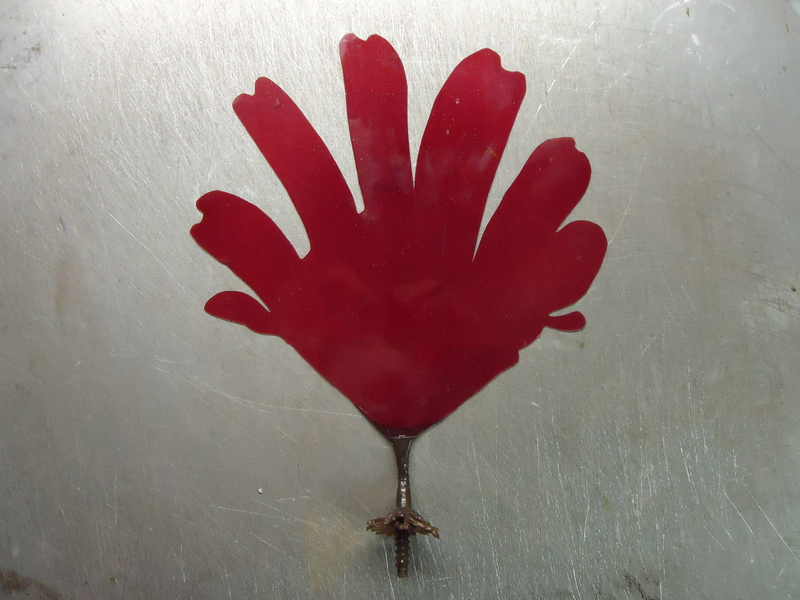 Our model is a translucent red color and is approximately 12″ (30 cm) tall. It includes a threaded anchor on a short stipe.